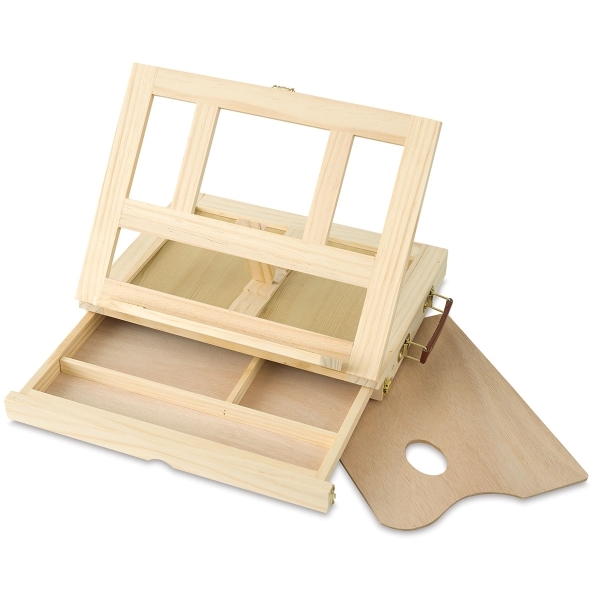 The Blick Studio Desk Easel is a mini studio for your home or on the go. 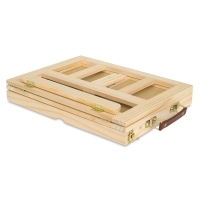 This portable storage box easily converts to an easel. Use it to prop up canvas, panels, books, and other media up to 11" × 14". The incline adjusts to four positions for just the right angle. 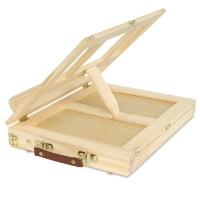 Rubber feet prevent the table easel from slipping and protect your work surface. When you're ready to pack up and go, stash your supplies in the locking storage drawer. 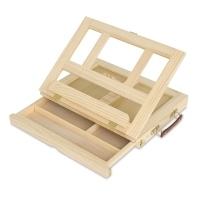 The handle makes the sketchbox easy to carry from place to place. 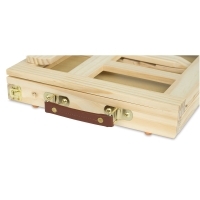 A wooden palette is included. Made of solid pine, the Blick Studio Desk Easel measures 13-1/4" × 4-1/4" × 3" when closed. It weighs 2.5 lb and comes fully assembled.